Neak Tep Clinic is a private clinic, operating 24 hours per day, 7 days a week. The clinic provides general and specialist health care, inpatient care, an on-site pharmacy, emergency care and an ambulance service. 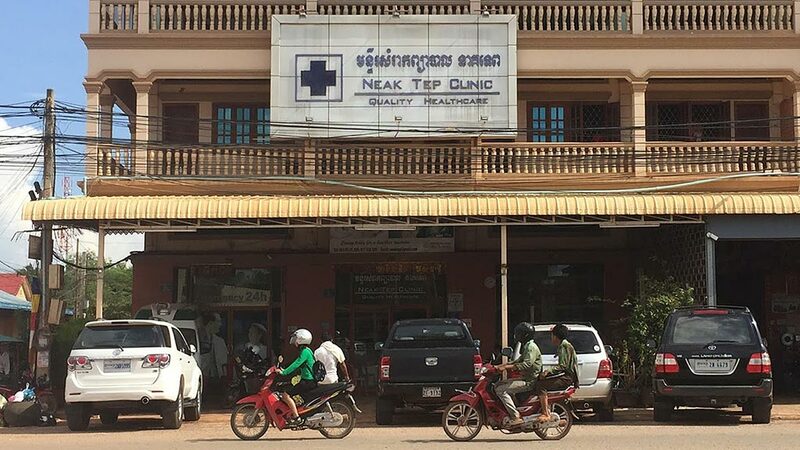 Dental Care, formerly known as Chea Sareth Dental Clinic is located in Siem Reap’s city center. Thim Samphaut Dental Clinic offers professional dental care in Siem Reap, Cambodia. Sreng Thea Dental Clinic offers professional dental care in Siem Reap, Cambodia. Pyramid Dental Clinic offers professional dental care in Siem Reap, Cambodia.